Consumers may not be quite ready for wearable computers, but watch-maker Fossil(s fosl), along with Texas Instruments(s txn), thinks the time is near. The Fossil project, known as Meta Watch, brings a “wearable development system aimed at inspiring the next generation of connected-watch applications.” The Meta Watch will cost $200 when it arrives in July and is powered by TI’s MSP430 ultra-low-power microcontroller and Bluetooth chip. 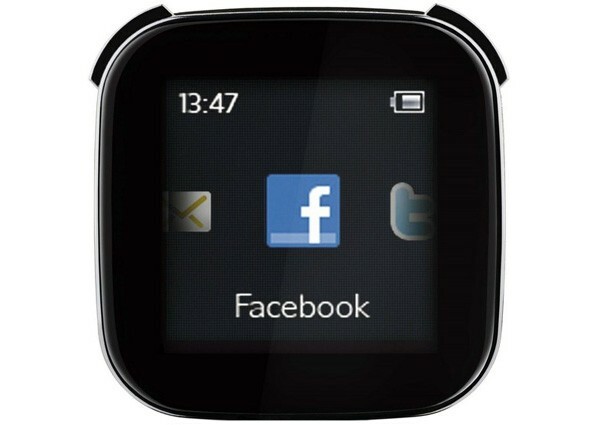 Meta Watch will be available in either an analog or a digital option, both of which have OLED informational displays. Both are packed with smartphone-like sensors and motors as well; inside the water-resistant stainless steel case is a vibrating motor, a three-axis accelerometer and an ambient light sensor. Like any platform, developers will have to create intelligent applications to tie the watch to a smartphone. Since the Meta Watch will be shown off in the Google I/O Developer Sandbox next week, it’s likely that Android (s goog) handsets will be among the first to benefit. This isn’t the first time that Fossil has dabbled with intelligent watches. Back in 2004, I purchased a SPOT watch built by Fossil that used FM radio to get information through Microsoft’s(s msft) MSNDirect service to my wrist. The SPOT watches have since been discontinued and Microsoft is deactivating the service as more effective devices and data delivery methods have appeared in the form of smartphones and mobile broadband networks. I stopped wearing a watch as I transitioned from my SPOT watch to a handset, but I’m still intrigued by the idea of the Meta Watch and other similar devices. The concept of these devices has merit, at least to me and likely anyone else that carries a smartphone in their pocket. Instead of simply telling time, a smart watch can act as a secondary display for another device like handset or tablet. Using low-powered wireless technology such as Bluetooth, these watches can show text messages, caller ID information, important emails and calendar event reminders. More advanced functionality that allows true interaction — say replying to a text message through voice recognition — isn’t out the realm of future opportunities. And there’s no need to pull out the smartphone for this type of interaction. So far, however, the current crop of these smarter watches have been troubled with wireless connectivity issues, based on the many reviews I’ve read. I was about to pull the trigger on either Sony’s Live View (shown) or an InPulse watch for use with my Android phone, but many owners complain that the Bluetooth connection exhibits dropped connections. Hopefully, the Bluetooth solution from TI eliminates that problem, so I can just glance at my wrist instead of firing up the smartphone just to check emails and Facebook updates. Maybe I feel this way just because I’m reading Ray Kurzweil’s book “The Singularity Is Near,“ but I’m ready for wearable computing devices. With any luck we’ll find out tomorrow at the google conference, and in theory the TI site is supposed to be taking pre-orders for the meta-watch from today………. Maybe not, but i hope you’ll do more coverage on the meta-watch/live-view business. 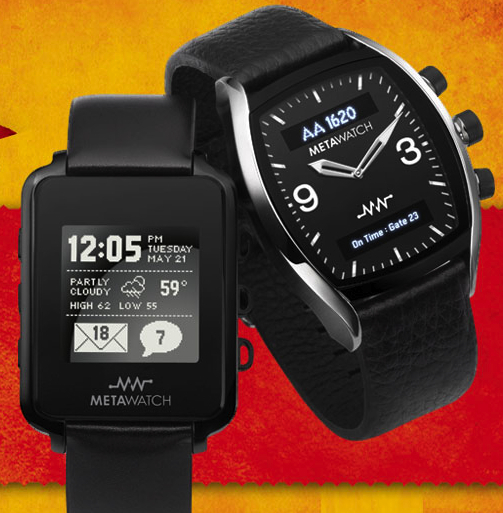 What i’d most like to know right now is whether the meta-watch will be useful to consumers via built in support from webos/android, or whether it is a developer only toy? Likewise, as a n900 owner i’m curious to see how quickly that SDK could be used to accept push notifications from maemo………..? I’m definitely keeping an eye on this niche market. My first weekend with the Live View has been hit or miss: way too many disconnects, even after the firmware update. Conceptually, I like the idea, however. And I have the same question as you: will the Meta Watch be useful out of the box to consumers or will we have to wait for devs to really jump on board? I’ve been using the Fossil developed SonyEricsson MBW-150 for a few years now with smartmadsoft’s brilliant software – over 40 functions, including stopwatch, countdown timer etc. The good: Vibration alert on the wrist – you’ll sense all calls, appointments etc, music control (volume, play previous, next etc), email alerts with text etc. Fabulous! The bad: the oled screen becomes dim with age. Don’t know if this is battery related, or has to do with the actual pixels. The oled has also been hard to read in direct sunlight. Looking at the new Fossil watches the direct sunlight reading has been addressed. On the other hand, as far as I can see, the number of buttons are now only 3 (on the analogue/digital version), and that limits the usefulness. I need the music control for this piece of tech to really appeal to me. The day before HP announced the ability for WebOS devices to push notifications to the Fossil meta-watch I was wondering when Apple would allow us to exactly that with the Ipod Nano. I hear you on the Nano, but I don’t think Apple sees a huge market for this type of use case just yet. They often wait for a market to develop, watch what others do wrong and then come in to perfect it. I agree that the Nano could be a killer form factor / device for this, however. Just to let you know there was a firmware update for the live view which sorted the connection and battery problems, lots of plugins now from weather to sporty pal fitness monitoring to taking pictures etc, good stuff and its dirt cheap now, looking forward to version 2 of it. Good to know – I may yet buy one based on that info; thanks! Yup, the support makes me leery, but it’s come way down in price. Think it was $150 at launch, but I nabbed one for less that half of that, shipped. I’ll take the chance and hope that SE keeps improving it. And you convinced me: some owners are reporting that the update has made things better although there’s still room for improvement. Amazon Prime plus an order last night means I’ll have one tomorrow. More to follow…. You can buy a watch band for the iPod Nano now and wear it as a watch and an iPod. If they make apps for it, Apple can corner the watch market too. I owned one of Fossil’s previous attempts at a smart watch – not the SPOT, but rather the Wrist PDA. (Not the one that required that you beam everything from another PDA, but the one that was a full Palm OS 4.1 PDA.) It was rather convenient, although admittedly it had some reliability issues, power issues, and Palm OS’s long, painful didn’t help it. If it can be combined with the Galaxy Tab (or similar), wifi and a bluetooth headset while using Skype, maybe you can abandon the smartphone (and cell networks) altogether!